रामराम हो पाव्हणं! वाईच जरा बसा ईथं. वाट परतीची येई का तिथूनी? "कवा येईल धनी माझा परतून आज"
As usual Akbar Badshah was sitting in the court. All other courts were sitting on their seats. The court proceedings are on. How to implement a new tax system, whether to reduce the repo rate or not, to close the Aadhar card scheme and apply a new identity card, subsidized gas cylinders, Padmashri award to Taimur Kapoor or to actress Karuna Kapoor etc. many topics were discussed. All were knowing that this type of discussion will never end in one day so the discussion was going on in light mood, humorous manner. 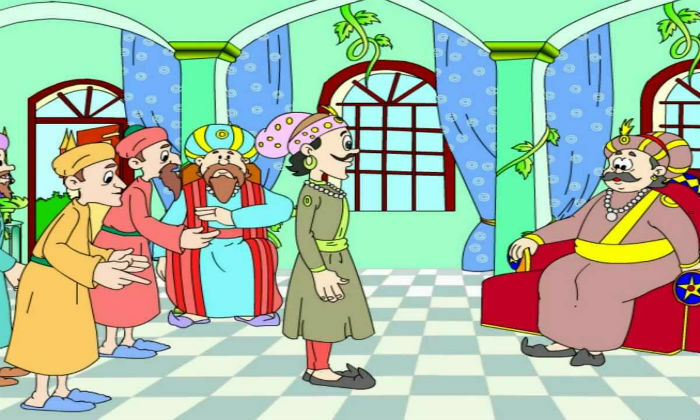 Birbal was watching Emperor Akbar closely. The king was pleased when the court started. He had also shown interest in an unbiased discussion of court clauses. But after that discussion Akbar's choler was increased. He was also holding his hand in the pocket of his royal robe once or twice while he was seating on a throne. After eating snacks and drinking a tea, Birbal did called himself a slave girl to give Paan and perfumed Tobaco to King Akbar. However, Akbar's head did not open. His usual jokes, courtesies were not enough. At that time Akbar's emperor woke up loudly and he said, "Oh my, search my mobile". Later Akbar said in a voice that the court would listen to the court, that the his mobile was in his pocket when he was in the Queen's palace before coming to court. Then it was time to come to the court and he had to left from Queen’s Palace. Later, during the discussion in court, he put his hand in the pocket to see some messages in the mobile phone but not found it in the pocket. That means, Akbar's mobile had disappeared. Seeing the fact that the Akbar Emperor's mobile disappeared, all the courts started running in search of King’s mobile phone. 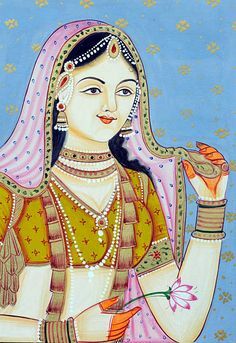 Akbar also got worried about his mobile when he thought that if the mobile phone was found in the hands of the Queen, then she would see the things in that mobile, and then he would be taken to the slap at night. The Emperor's throne, the side-by-side tables, below the chairs, way to the courtroom, all area of court searched by servants for the mobile. The Chief Security Secretary ordered the closure of the main gate of the palace. No one was allowed to go outside the palace until the King's mobile was found. Rest of courtiers send SMS or Whats App to their home that they will return home late in the evening. Some people also thought that there must be a mobile theft who picked up Akbar’s mobile phone. Akbar's brother in law gave a ring on Akbar's mobile as he wanted to show his cleverness to Badshah, and the mobile was ringing there. That means, at least the mobile was not shut down. All the courts came to the conclusion that Akbar had used his mobile phone in Queen’s palace lastly and after that it got disappeared. They all knew that there were special only faithful servants and Birbal who were allowed in the courtyard of the Queen's palace. Seeing the doubt suspicion needle is turning towards him, all the controls in the search of mobile have taken by Birbal in his hands. He asked the King, "Sir, when did you handled the mobile lastly?" Akbar jokingly said, "Handling means that it was always in my hand", Akbar further said, "But before I came to the court, I went to Palace of Queen." We both had few personal discussions, ate scented Paan, and same time mobile disturbed us by ringing an alarm and it was a time to come to the court. I closed alarm and put mobile on silent mode as I have to present myself in the court. And then quickly I was here. In the way to court, not sit anywhere. What is means that such mobile disappears while I walk? ", Akbar said a little scared. "Sir, have you ever charged the mobile last? And was there any problem with the battery, I mean that the battery will end soon?" Birbal asked the next question. "It's my mobile, too, it just the latest, that's why there is no battery issue, not just wanting to lose it. It should not go in wrong hands and you can block the SIM card by telling to a cellular phone, but what about the data it contains? Also it was not password protected as I used to give it to Queens hand sometimes to read jokes and messages." The king said to Birbal in private voice with care. 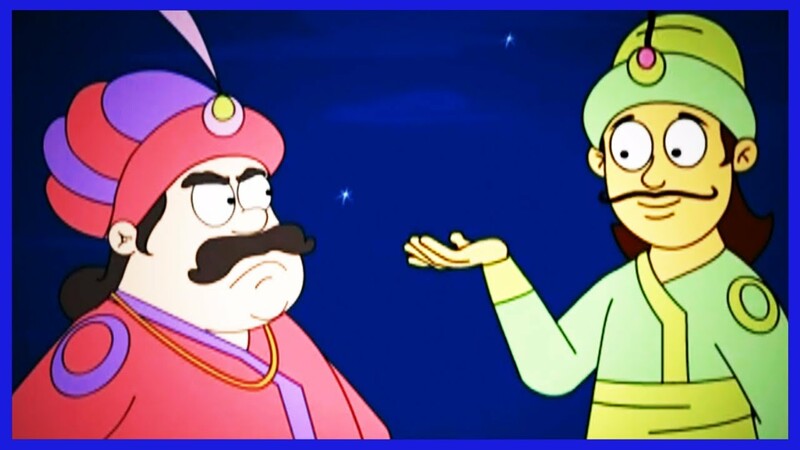 Akbar stopped his emotional sad stoty because Birbal was considered a little worried. Seeing that Birbal did not speak for a long time, the Emperor sighed, "Birbal, do anything for getting the mobile phone. If you do not get the mobile I will put you in jail." Birbal was aware of the habit of saying 'you housed in prison' just a threat. Since it was three o'clock in the afternoon, Birbal was a little worried about his empty stomach while in mobile search. To listen to what Birbal speaks, the whole court began to listen to him. There is a lot of boils in the heart of the King's brother in law. Finally, Birbal said with determination, "Maharaj, all the officers, servants of the court and the slaves allow to go home. You also have to eat, I also have to my meal and after that I will give you your cell phone." The officials in the court heard the excitement. The mobile crisis was temporarily avoided. The court was dismissed by thinking that later issue could be seen tomorrow. Akbar went to Emperor’s kitchen and Birbal went to his home to eat something. Birbal was again present in the courtroom around five o'clock in the evening. Other courtiers also came the eager to see how mobile will search and stopped at long distance from court. Bibal came with the main electrician. What is the purpose of an electrician at the time of mobile search? Why would he charge mobile in the air? The Emperor thought for a while but he decided to see what would happen. At the time of the sun's dawn, Birbal rushed to the Queen's palace with some trusted ladies’ servants and with an electrician. Off course the king Akbar was with them. Birbal, who came to the Queen's palace, persuaded the maid to shut the doors of the palace, windows and the curtains on it. All of them were looking breathlessly at Birbal what he was doing. Now Birbal asked the main electrician to close the queen's room main switch. Darkness spreads in the Queen's palace after switching off the main switch. Akbar immediately took the queen's hand tightly. Birbal was standing next to the side. There was nothing visible in the dark. At that time Birbal picked up his own mobile from his pocket and dialed the number of Akbar's lost mobile phone. As soon as the first ring went, a light started to shine. The side of the queen’s royal bed was filled with light. After the completion of the whole ring from the mobile, Birbal took a quick look towards the royal bed and captured Akbar’s mobile phone near the cushion. Now Birbal gave loud voices and asked the main electrician to turn the main switch. After the main switch switched on, Queen’s palace lit in the light. The queen standing beside the king stood aside and hesitated. 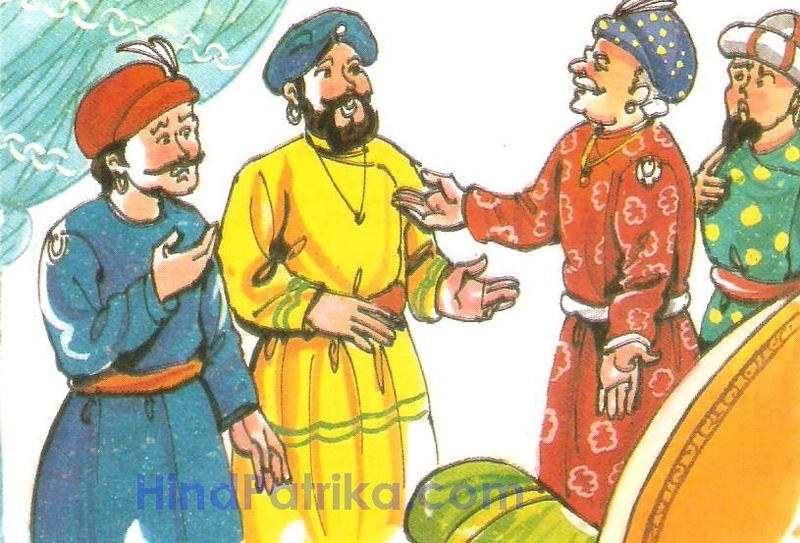 Birbal laughs and handed Akbar's mobile phone to him. Akbar took mobile from Birbal and removed Silent mode at first. He was happy seeing that mobile was not taken by somebody else and data inside it was safe enough. 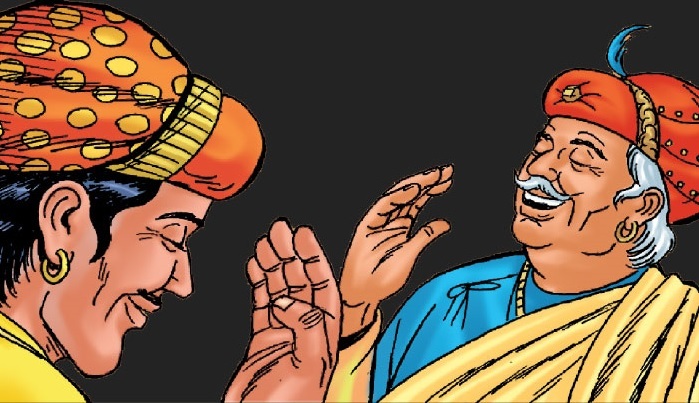 Happy to find his missing mobile in such a way, Akbar announces the full year's talk time for Birbal’s mobile phone. (प्रस्तूत पोवाडा खाजगी असून त्याचा कुणाही जिवंत अथवा मृत व्यक्तीशी संबंध नाही. तसेच सोशल मेडीयावर तेथे नावे आलेल्या व्यक्ती असतीलच असे नाही. तसेच हा पोवाडा सोशल मेडीयावरील, तसेच प्रत्यक्षात अस्तित्वात असणार्‍या कुणाही व्यक्ती, समूह तसेच गटावर आधारीत नाही. केदार नाना ही काल्पनीक नाव असलेली व्यक्ती आहे. वरद कुलकर्णी ०७ या आयडी ने एक गीत लिहीण्यास आम्हास सांगीतले असता हा पोवाडा पुर्ण केला असे. यात उल्लेख आलेल्या कुणाही व्यक्तीची अन पाषाणभेद यांची भेट झालेली नाही. शिवछत्रपतींच्या सैन्यात अनेक गुप्तहेर होते. त्या गुप्तहेर खात्याचे प्रमूख होते बहिर्जी नाईक. तर असे हे बहिर्जी नाईक. शत्रूच्या गोटात ते वेषभुषा बदलवून सहज मिळून मिसळून मिसळून जात अन आपली कामगीरी फत्ते करत. हे केदार नाना या भुतलावर अस्तित्वात असून देखील कुणालाच भेटले किंवा दिसले नव्हते. होता होता किर्ती तयांची पसरली. तर मंडळी, केदार नानांनी आपली गुप्त मोहीम नाशिक शहरावर स्वारी करण्याची आखली. पण कानोकान खबर फुटली अन ती बातमी सार्‍या महाराष्ट्राला समजली. जनतेत खळबळ माजली. आता या मोहीमेत कुणाची फत्ते होते याची उत्सूकता त्यांना लागली. कारण शत्रू कोण याची कुणालाच खात्री देता येत नव्हती. जो तो आपणच केदारनानांचे शत्रू असू अशी भिती बाळगून होते. या मोहीमेचे सारस्थ्य स्वतः केदार नाना वेष बदलून करत होते. कधी सेल्समनच्या वेषात, कधी बिजनेसमन तर कधी उसउत्पादक शेतकरी अशा या बदलत्या वेषात ते नाशिक नगरीकडे आगेकूच करत होते. दलमजल करत, एक एक गावाचे सोशल मेडीयावरील तरूण, जीओ नेटवर्कवरील मावळे, नोकर्‍या शोधाणारे बेरोजगार यांना नाना हे आपल्या निरनिराळ्या व्हाटस अप गृपमध्ये घेवून मांडलीक बनवत निघाले होते. केदार नानांची गृप बनवण्याची भूक आता बकासूराप्रमाणे वाढली होती. नाशिकमधल्या मोहीमेमध्ये जो जो येईल त्याला आपल्या गृपमध्ये नाना घेत निघाले. तर मंडळी अशी अनेक ज्ञात अज्ञात मंडली केदार नानांना मिळत होती. या सर्वांची व्यवस्था केदारनाना जातीने पाहत असत. सैन्यात त्यांची शिस्त होती. कुणीही अवांतर बोललेले, लिहीलेले त्यांना चालत नसे. म्हणून केदारनानांनी त्यांचे नाव "उपयोजक" असे करवून घेतले. त्यासाठी श्रीगुरूजी यांना उपाख्य करवून त्यांचेकडून पुजा करवून घेतली. केदारनानांनीही मग ते कुणास का सांगावे? उगाचच आपला टँकरचा हप्ता चुकतो. या वर्षीदेखील पाऊस वेळेवर सुरू होईल. पण आमचा पैशांचा दुष्काळ आता सुरू होईल. ढिसक्लेमरः केवळ हलके घेण्यासाठी. कुणाही व्यक्ती, शक्ती, राजकीय पक्ष-पुढारी, मुळशी पॅटर्न, वाढदिवस बॅनरवाले यांचा उपमर्द करण्याचा हेतू नाही. १) यॉट कशाचे प्रतीक आहे? ४) आय.आय.टी., आय.आय.एम. मध्ये कोण शिकू शकतात? ५) चार महाग असलेल्या चारचाकी वाहनांची नावे सांगा. वरील झैरातीचा मोबदला अद्याप मिळालेला नाही हे बोलून मी माझे भाषण संपवतो. वीस एक वर्षांपुर्वी नाशकातल्या त्रिमुर्ती चौकात दक्षिण भारतीय लोकांनी एक बंगला भाड्याने घेतला होता. तेथे त्यांनी संसारोपयोगी वस्तू विकण्याचा धंदा सुरू केला होता. म्हणजे लोखंडी खुर्च्या, पातेले, जग, कढई, चटया, कूकर, फॅन, पलंग अगदी पाण्याचा पेला देखील. तर या सार्या वस्तू ते कमी किमतीत विकत. काही दिवसांत त्यांचा जम बसला. त्यावेळी लोकवस्ती नवीनच होती. लोकं वस्तू विकत घेत आणि इतर वस्तूंची आगावू मागणी करत. आगावू मागणीच्या वस्तूसाठी ते लोक आधीच पैसे मागत. गिर्हाईकही स्वस्तात वस्तू मिळते म्हणून पैसे जमा करत. असे सहा सात महीने झाले. एके दिवशी ते दक्षिण भारतीय लोक फरार झाले आणि लोकांचे आगावू घेतलेले पैसे बुडाले. काही खाजगी गुंतवणूक संस्था जसे की केबीसी, पॅन कार्ड क्लब, ईमू पालन, समृद्ध आदी अशा अनेक खाजगी गुंतवणूक संस्था होत्या की त्यांचे आर्थिक घोटाळे उघडकीस येवून गुंतवणूकदारांचे पैसे बुडतात अशा बातम्या आपण नेहमी वाचतो. सहारा इंडीया किंवा डी. एस. के. यांच्यासारख्या नावाजलेल्या संस्थानीही गुंतवणूकदारांची फसवणूक केलेली आहे. एवढेच नव्हे तर काही सहकारी बँका आणि पतसंस्था आदींनीदेखील गुंतवणूकदारांना फसवल्याची उदाहरणे आहेत. काही प्लॉटमध्ये गुंतवणूक करणार्या, शेळीपालन करणार्या, झाडे लावणार्या संस्था, मल्टी लेव्हल मार्केटींग करणार्या संस्थादेखील अशाच प्रकारे फसवणूक करतात. असल्या ठेवी स्विकारणार्या संस्था बिगर बँकींग वित्तीय संस्था म्हणजेच नॉन बँकींग फायनांशीअल इन्स्टीट्यूशन म्हणून गणल्या जातात. संस्था या सेबी आणि/ किंवा (आरबीआय) यांच्या मान्यता असणार्या असाव्या लागतात. सेबी, आरबीआय अशा संस्थांवर लक्ष ठेवून असतात. तरीही काही संस्थांनी घोटाळा केलाच तर या नियामक संस्था कायदेशीर हस्तक्षेप करु शकतात. वर उल्लेखलेल्या किती संस्था मान्यताप्राप्त होत्या हा संशोधनाचा विषय आहे. वरील उदाहरणातील वस्तू विक्रेते किंवा इतर उदाहरणातील वित्तीय संस्था, बँका आदींनी अती लोभ - जसे कमी किंमत, जास्त व्याजदर आदी अमीष दाखवल्याने अनेक मध्यमवर्गीय अशा दुकान किंवा संस्थांकडे आकर्षित झालेले होते. या आर्थिक गुंतवणूकीत शहर, ग्रामीण असा काही भेद नाही. मुंबई, पुणे, नाशिक, नागपूर या शहरांपासून ग्रामीण भागातही असे गुंतवणूकदार सापडतात. अनेक वेळा लोक घरे, शेती, दागीने गहाण टाकतात अन पैसे गुंतवतात. या अशा गुंतवणूकीत एक समान धागा आढळतो. सुरूवातीला अशी संस्था गुंतवणूकदारांना आकर्षक व्याजदर नियमीत देण्याचा वायदा केला जातो. तोंडी प्रसिद्धीमुळे एकमेकांचे नातेवाईक, शेजारीपाजारी असे गुंतवणूकदार वाढत जातात. हा एकप्रकारचा कल्टच असतो. सुरूवातीच्या गुंतवणूकीदारांना नंतर येणार्या गुंतवणूकीदारांच्या पैशातून व्याज दिले जाते. काही संस्था हा पैसा शेअरमार्केट मध्ये, वायदेबाजारात लावतात व त्यावर येणार्या नफ्यातून व्याज दिले जाते. कोठेतरी हि साखळी तुटते आणि मग अशा संस्थांचा डोलारा कोसळतो. सुरूवातीचे पैसे सोडवून घेणारे सोडले तर इतर सर्व जण या आर्थिक घोटाळ्यात अडकतात. न्यायालयात जरी असे खटले गेले तरी त्यांचा निकाल वेळेवर कधीच लागत नाही हे सत्य आहे. पै पै जमवून केलेली गुंतवणूक परत मिळत नाही. म्हातारपणी, रिटायरमेंटनंतर लागणारे पैसे, लग्नकार्य, आजारपण आदींच्या खर्चाची तरतूद वाया जाते. कित्येक जणांनी याची हाय खावून आत्महत्या केल्याचीही उदाहरणे आहेत. या सर्वांवर उपाय काय? खाली काही मार्गदर्शक टिपा दिल्या आहेत जेणेकरून गुंतवणूक अशा आर्थिक घोटाळ्यांमध्ये न जाता चांगल्या ठिकाणी करता येवू शकते. १) अती लोभ सर्वात वाईट. तो कसल्याही गोष्टीचा का असेना. जास्त व्याजदर मिळावा हि अपेक्षा सर्वांचीच असते. पण अती लोभापायी गुंतवणूक योग्य ठिकाणी करत नाही. गुंतवणूक करतांना अती लोभ ठेवू नका. २) जास्त व्याजदराचे आकर्षण. बाजारभावापेक्षा जास्त व्याजदर म्हणजे धोका अधिक. अधीक व्याजदराची, दुप्पट, तिप्पट असा उल्लेख असलेल्या योजनांमध्ये गुंतवणूक करु नका. ३) मान्यताप्राप्त संस्था नसणे. बर्याच वेळी अशा संस्था सेबी किंवा/ वा आरबीआय मान्यताप्राप्त नसतात. असल्याच तर त्यांच्या गुंतवणूकदारासाठी अशा संस्था नामसाध्यर्म असणार्या योजना आखतात व त्यामध्ये गुंतवणूक घेतात. ४) संस्था किती विश्वासू आहे याचा तपास न करता केलेली गुंतवणूक वाया जावू शकते. ५) अर्थात विश्वासू संस्थांनीदेखील गुंतवणूकदारांना दगा दिलेला आहे. म्हणजेच आपल्या गुंतवणूकीचे शेवटी जबाबदारी आपलीच (गुंतवणूकदारांचीच) ठरते. ६) आपल्या नातेवाईकाने, शेजार्याने गुंतवणूक केली म्हणजे आपण तेथेच केली पाहीजे असे नाही. सारासार विचार करून निर्णय घ्या. वर दिलेल्या गुंतवणूकीच्या प्रकारात भान ठेवून गुंतवणूक करावी व त्याच्या परिणामांना सामोरे जाण्याची तयारी असावी. उरला प्रश्न महागाईपेक्षा (inflation) आपल्या गुंतवणूकीतून थोडा जास्त (अगदीच भरमसाठ नाही) परतावा, व्याज कुठे मिळेल किंवा अशा काही योजना आहेत का? १) पोस्ट, राष्ट्रीयकृत बँकांच्या मुदत ठेवी, क्रिसील, इकरा, केअर अशा क्रेडीट रेटींग्ज देणार्या संस्थांनी दिलेल्या आणि ए+ किंवा ए मानंकनाच्या मुदत ठेवी योजना ( यात बाँडस येवू शकतात) तुलनेने योग्य व्याजदर देवून सुरक्षीततेत वरचढ ठरतात. २) सारेच म्युच्यूअल फंड शेअर मार्केटमध्ये पैसे लावत नाहीत. डेट फंड हे कंपनी डिपॉझीट, बॉन्ड अशा सुरक्षीत ठिकाणी पैसे गुंतवतात. याचे व्यवस्थापन असेट मॅनेजमेंट कंपनी व्यावसायीकरीत्या करत असते. मुद्दा क्रमांक मधील गुंतवणूकीच्या पद्धतीपेक्षा थोडा जास्त परतावा मिळू शकतो. ३) एखादे म्युच्यूअल फंड बंद जरी झाले तरी नियामक संस्था अशा बंद पडलेल्या अशा फंडाला दुसर्या एखाद्या फंडात एकत्र करते. उदा. आयएनजी वैश्य यांचे फंड बिर्ला सनलाईफ म्युच्यूअल फंडात मर्ज झाले आहे. आणखी एक दुराव्याचे उदाहरण देता येईल. सहारा या कंपनीने गुंतवणूकदारांची फसवणूक केली त्यामुळे सेबीने त्यांच्या मालमत्तेवर टाच आणली आहे. पण त्याच कंपनीने स्पॉन्सर केलेला सहारा म्युच्यूअल फंड अजून चालू आहे. ४) ईक्वीटी म्युच्यूअल फंड हे शेअरबाजारात पैसे लावतात. त्यातही किती टक्के पैसे लावतात यावर उपप्रकार पडतात. त्यात मार्केटप्रमाणे परतावा मिळतो. जास्त मुदतीसाठी पैसे ठेवायचे असल्यास हा प्रकार योग्य आहे. अर्थातच म्युच्यूअल फंडातली गुंतवणूक मार्केटवर अवलंबून असते हे लक्षात ठेवावे. ५) शेअर बाजारात तुलनेने जास्त परतावा मिळतो. पण त्यामध्ये गुंतवणूक करतांना कंपनी तोट्यात जावू शकते हे लक्षात ठेवावे. ६) प्लॅट, प्लॉट, शेतजमीन, पोस्ट असो वा म्युच्यूअल फंड असो वा शेअर बाजार, यात गुंतवणूक करतांना योग्य आणि मान्यताप्राप्त आर्थिक सल्लागाराचा सल्ला घ्या. आर्थिक व्यवहारात सारे काही आपणच केले पाहीजे हा ध्यास टाळा. असे आर्थिक सल्लागार जरी थोडीफार फी आकारत असतील तरी त्याबदल्यात योग्य सल्ला देत असतात. गुंतवणूकीच्या सार्‍या आतील गोष्टी आपणाला ठावूक असतीलच असे नाही. मार्केटमध्ये काय चालू आहे याबाबतही आपण अनभिज्ञ असू शकतो. सल्लागार त्याच क्षेत्रात काम करत असल्याने माहीतीत तो मार्गदर्शक ठरतो. ७) आयुर्विमायोजना हि गुंतवणूक ठरू शकत नाही. आयुर्विम्याव्यतिरिक्त इतर योजनांमध्ये गुंतवणूक केलीच पाहीजे. पावसाळी ढग आकाशात होते. समोर जॉगींग ट्रॅक आणि मधले खेळाचे मैदान होते. आज कुणीच खेळत नसल्याने मोकळे होते ते. त्या शांत वातावरणात मी भरभरून मोकळा श्वास घेतला. शहरातल्या त्या जॉगींग ट्रॅकवर पावसाळ्यामुळे गर्दी बरीच कमी होती. एका कोप-यात बसलो. लहान मुलं खेळत होती. काही व्यक्ती चालत होत्या. 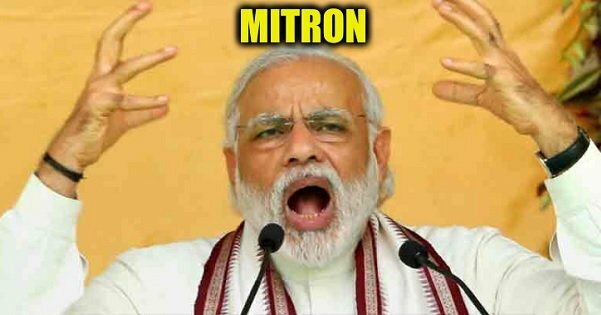 काहीपावसाळ्यामुळे, ग्रीन जीम करत होत्या. मी पावसाळ्यात तयार झालेल्या हिरव्यागार गवताच्या काठावर बसलो होतो. समोर असणारे रानटी गवत पाहून मला माझ्या लहाणपणाचे दिवस आठवले. सहावी सातवीत असेन तेव्हा. आमच्या घराच्या पुढच्या गल्लीत तालूक्याचे न्यायालय होते. तेथे मोठे मोकळे आवार होते. त्यात मुख्य न्यायालाची बैठी कौलारू इमारत होती. जुन्या काळातली, दगडी लाकडी बांधकाम होते ते. तसे त्या आवारातल्या सार्‍या कचेर्‍या ह्या दगडीच होत्या. बहूदा पन्नासातल्या दशकातल्या असाव्यात. बाजूलाच वकीलांची बार रुम. दुरवर कस्टडी मिळालेल्या किंवा कोर्टाची तारीख असणार्‍या आरोपींना ठेवायची रुम होती. बाकीच्या इमारती कौलारू होत्या पण आरोपी ठेवण्याची कोठडी पत्र्याच्या छताची होती. त्या खोलीच्या बाजूलाच त्या आवाराची राखण करायच्या रखवालदाराची राहण्याची खोली होती. त्याने मोठ्या हौशीने फुलझाडे, आणि अळूची रोपे अंगणात लावली होती. त्या अंगणातच एक पाण्याचा नळ होता. संपुर्ण कोर्टाच्या आवाराला दगडी भिंतीचे उंच कंपाऊंड होते. आम्ही गल्लीतील मुले त्या भिंतीवर चढून पुर्ण चक्कर मारत असू. त्यावरून आपण पडू वैगेरे भिती कधी जाणवली नाही त्या वेळी. सुटीत किंवा न्यायालयाचे कामकाज बंद असतांना आम्ही तेथे खेळायला जात असल्याने मोठे प्रवेशद्वार बंद असे. पण त्याच्या बाजूलाच एक गोल फिरणारे लोखंडी दार होते. त्यावर उभे राहून गोल फिरण्याचा आनंद मिळत असे. आवारातच एक मारूतीचे मंदीर होते. छोटेसे, दगडी. बहूतेक ( की सगळ्याच?) न्यायालयाच्या आवारात मारूतीचे मंदीर (का)असते.(?) तसेच हे देखील. दर शनीवारी माझ्या घरासमोरील माझ्याच वयाचा मित्र त्या मारूतीला तेल आणि उडदाची दाळ वहायला जात असे. त्याचे पाहून माझी आईदेखील मला त्याच्याबरोबर तेल, दाळ वहायला पाठवत असे. संध्याकाळच्या वेळी न्यायालयाचे कामकाज आटोपल्यामुळे सारे आवार रिकामे असे. संपुर्ण शांतता असे. त्या विस्तीर्ण आवारात झाडे असल्याने आजूबाजूच्या घरे, इमारती दिसत नसत. पुर्ण एकांत, शांतता त्या परिसरात असे. सुटीच्या दिवशी आमच्या शाळेला आणि न्यायालयादेखील सुटी असे. उन्हाळ्यातदेखील शाळेसारखी न्यायालयाचे मोठी सुटी असते हे आत्ता मोठे झाल्यावर माहीत झाले. कारण शनिवार रविवारची सुटी असो की मे महिन्यातली मोठी सुटी असो आम्ही गल्लीतली मुले न्यायालयाच्या आवारातच खेळायला जात असू. आमचे तेथील खेळ म्हणजे झाडावर चढणे, आवारातल्या भिंतींवर चढणे, जांभळे तोडणे, गवतात पळणे, गवतफुलांवर उडणारी पिवळी फुलपाखरे पकडणे, रंगीत भुंगे पकडून त्यांच्या पायांना दोरा बांधून उडवणे किंवा काडेपेटीत जमा करणे, मारामार्या करणे, विटीदांडी, पावसाळ्यात चिखल मातीमध्ये लोखंडी कांबी- गज खुपसणे आदी कमी खर्चाचे होते. न्यायालयाच्या मुख्य इमारतीच्या मागे बरीच मोठी पडीक जागा होती. तिचा वापर नसल्याने गवत तेथे कायम माजलेले असे. त्या गवताची जात काहीशी वेगळी असल्याने ते उंच होते. साधारणतः लहान मुलाच्या गुढग्या-मांड्यांच्या वर ते असे. त्यात फुलपाखरांना पकडण्यासाठी पळावे लागे. आता विचार केला असता ते किती धोक्याचे होते ते लक्षात येते. कारण त्या उंच गवतात साप, विंचू इतर जनावरे असण्याची शक्यता होती. पण आम्हाला अटकाव करणारे त्या आवारात कुणीच नसल्याने आम्ही लहान मुले बिनधास्त त्या गवतात खेळत असू. कधी कधी न्यायालयाचे कामकाज सुरू असण्याच्या दिवशीही तेथे खेळणे झाल्यास बाररूममधील वकीलांनीही आम्हा मुलांवर कधी ओरडल्याचे आठवत नाही. बाररूमच्या बाजूलाच, मंदीराच्या समोर एक उंच जांभळीचे झाड होते. त्यावर थोड्या अंतरावर चढता येत असे पण तेथे जांभळे नसत. मग आम्ही खाली पडलेल्या जांभळाच्या सड्यांमधून जांभळांचा आस्वाद घेत असू. न्यायालयाच्या प्रवेशद्वारावर एक मोठे विलायती चिंचेचे झाड, कौठाचे होते. तिकडे फारसे खेळणे होत नसल्याने विलायती चिंचा कधी पाडल्याचे आठवत नाही पण एक दोन आषाढी कार्तीकी किंवा महाशिवरात्रीच्या उपासांच्या आधीमधे कौठाची फळे पाडल्याचे आठवते. त्या झाडांच्या पलीकडेच तालूक्याचे प्राथमिक आरोग्य केंद्र आणि डाव्या बाजूला सरकारी शाळांच्या बैठ्या कौलारू इमारती होत्या. कंपाउंडच्या भिंतीवर चक्कर मारतांना तो परिसर, तेथील रुग्ण आदींचे दर्शन होई. शाळेचे आवार मोठे होते. जवळपास चार बैठ्या इमारतींच्या मध्ये दोन मोठी खेळण्यासाठी मैदाने होती. तेथे आम्ही क्रिकेट खेळत असू. खेळायला दगडी चेंडू असल्याने कुणी यष्टीरक्षणाला तयार होत नसे. मग मीच यष्टीरक्षक होत असे. न्यायालयाच्या उजव्या बाजूला, आरोपींच्या खोलीच्या मागे रांगेने गुलमोहोराची झाडे होती. त्यांच्या शेंगा वाळल्यावर तलवारीसारख्या खेळण्याच्या कामात येत. कधी कधी गुलमोहोराच्या फुलांचा तुरा खाणे होई. काही कालावधीनंतर मंदीरामागच्या मोकळ्या जागेत एका कोपर्‍यात तालूकान्यायमुर्तींसाठी सिमेंटचे घर बांधले गेले. अर्थात ते घर एका कोपर्‍यात असल्याने आणि त्यात राहणार्‍यांनीही आमच्या खेळण्यावर कधी आक्षेप घेतला नाही. कधीतरी पुढल्या वर्षात तेथे राहणार्‍या न्यायमुर्तीच्या मुलाने शाळेत माझ्या वर्गात प्रवेश घेतला. त्याची भाषा काहीशी वेगळी होती आणि तो अबोल असल्याने त्याच्याशी मैत्री होवू शकली नाही. असेच एकदा आमच्या शाळेतच मोठ्या वर्गात असणार्‍या एका विद्यार्थ्याशी काही कारणामुळे शाळेत भांडण झाले. तो आमच्या गल्लीच्या पुढल्या गल्लीतच रहायला होता. त्याने शाळेतील भांडणाचा बदला घेण्याच्या हेतूने मला न्यायालयाच्या आवारात गाठले. मग त्याची अन माझी मारामारी सुरू झाली. तो काहीसा बुटका पण मजबूत असल्याने अधीक कालावधीसाठी मारामारी चालू राहीली. ठोसे, बुक्या आदींचा दोन्हीकडून मारा झाला. नंतर कुणीतरी मोठ्या व्यक्तीने मारामारी सोडवली. नंतर तो मुलगा वरचेवर दिसत असे पण मग त्याने अन मीही जुना वाद उकरून काढला नाही. नंतर शहरात तो एका झेरॉक्सच्या दुकानात कामाला लागला तेव्हा त्याच्याशी भेटणे, बोलणे झाले. वय वाढले तसे पुढे मोठ्या वर्गात गेल्यानंतर त्या न्यायालयाच्या आवारात खेळण्यासाठी जाणे कमी होत गेले. कधीतरी मधूनच लहर आली तर मारूतीच्या मंदीरात दर्शनासाठी जात असे. त्यावेळीही तेथे आधीसारखीच शांतता असे. आता मी ते गाव सोडले आहे. त्या गावाला अन पर्यायाने न्यायालयाच्या त्या आवाराला भेट देणे झाले नाही. इतक्या वर्षांनंतर तेथे खुप बदल झाला असणारच. न्यायालयाची इमारत जुनी झाली किंवा जागा कमी पडते या कारणामुळे पाडून नवी काँक्रीटची इमारतदेखील बांधली गेली असेल. तेथील झाडे, गवत आदी देखील नसणार. मारूतीचे मंदीर मात्र असेल पण त्यातही बदल झाला असेल. कधीकाळी तेथे जाणे झालेच तर तो परिसर कसा असेल याची उत्सूकता आहे. काळानुरूप बदल होत जाणारच. गतकाळातील तेथील आठवणी मात्र माझ्यासोबत नेहमी असतील. Book Vaganatya written by us.